Analytics, analytics, analytics. 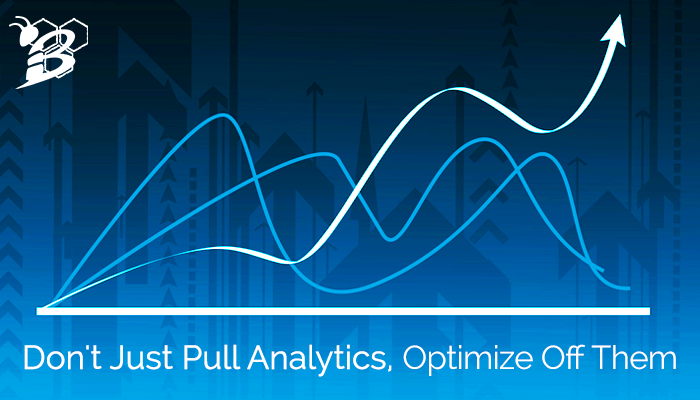 As a marketer, the importance of pulling marketing analytics has most likely been ingrained in you. And with the increased accessibility of analytics for all of our digital marketing, you've probably been buried in numbers and charts at one time or another. HIVE Digital Marketing is a full service Digital Marketing Firm including social media marketing, blogging, email marketing, website design, graphic design, inbound marketing, strategy, SEO, pay-per-click, and MORE! We are in the business of converting strangers to visitors > visitors to leads > leads to customers > and customers to promoters! Copyright © 2019 HIVE Digital Strategy. All rights reserved.